TUESDAY, April 15, 2014 (HealthDay News) -- Severely obese people with vitamin D deficiency may be less mobile than those with normal levels of the vitamin, a new study says. Poor physical functioning can reduce quality of life and increase the risk of early death, the researchers noted. The study included 252 severely obese people who were timed as they walked 1,640 feet and climbed up and down a single step 50 times. The participants also gave blood samples and estimates of their levels of physical activity. Those with the lowest vitamin D levels had the slowest walking times and the lowest amounts of physical activity, according to the study published April 15 in the Journal of Clinical Endocrinology & Metabolism. "People with severe obesity already are eight times more likely to have poor physical function than people with a healthy [body weight]," study co-author Tomas Ahern, of St. Columcille's Hospital and St. Vincent's University Hospital in Dublin, Ireland, said in a journal news release. 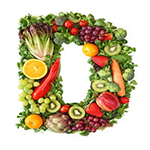 "Poor vitamin D status contributes to the deterioration of physical function in this population. Among those with severe obesity, 43 percent are at risk of vitamin D deficiency," he added. About 6.5 percent of American adults are severely obese, the study authors noted in the news release. While the study doesn't prove that lower levels of vitamin D curtail mobility, it does suggest a link might exist between the two. Improving vitamin D status could be a simple matter of spending more time outside, because sun exposure can boost the body's natural vitamin D production, Ahern said.